Passover: Is it Jewish — or For All Believers? As Gentiles, most Believers today have not kept the true Passover, but have instead taken a man-made substitute, a counterfeit of the True Passover called the Lord’s Supper. Many have been told of the Passover, “It’s Jewish.” But what do the Scriptures say? As we saw in an earlier Passover Thought, the Bible says the Feasts are Yahuweh’s Feasts (See Lev 23:2,4). He has then given His Feasts to His people — those who have been redeemed by the Blood of the Lamb — as special times to commune with their Father, and to remember His Redemption for them. In view of what we have seen in the previous Passover Thoughts, we can only conclude what Scripture concludes — that Yahushua is our Redemption. He was Jewish, but He is for all Believers, both Jewish and Gentile. 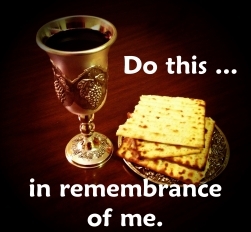 The New Covenant Passover is the ‘memorial’ [remembrance] of the Redemption of His people by the blood of the Lamb. We are told to keep Passover in Remembrance of Yahushua, who is our Redemption, and our Redeemer. We are also told it is His life in us that desires to eat the Passover Bread and drink the Passover Cup of the New Covenant. 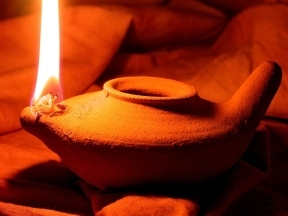 The Passover ceremony, like His Redemption, is not for our Jewish friends alone, but for all of Yahuweh’s Redeemed people, both Jewish and Gentile. Those who Believe in Yahushua (Jesus) have been ‘grafted-in’ to Israel, and are now partakers of the Blessings, Promises, and Commandments given to Israel (Romans 11:17-22)!